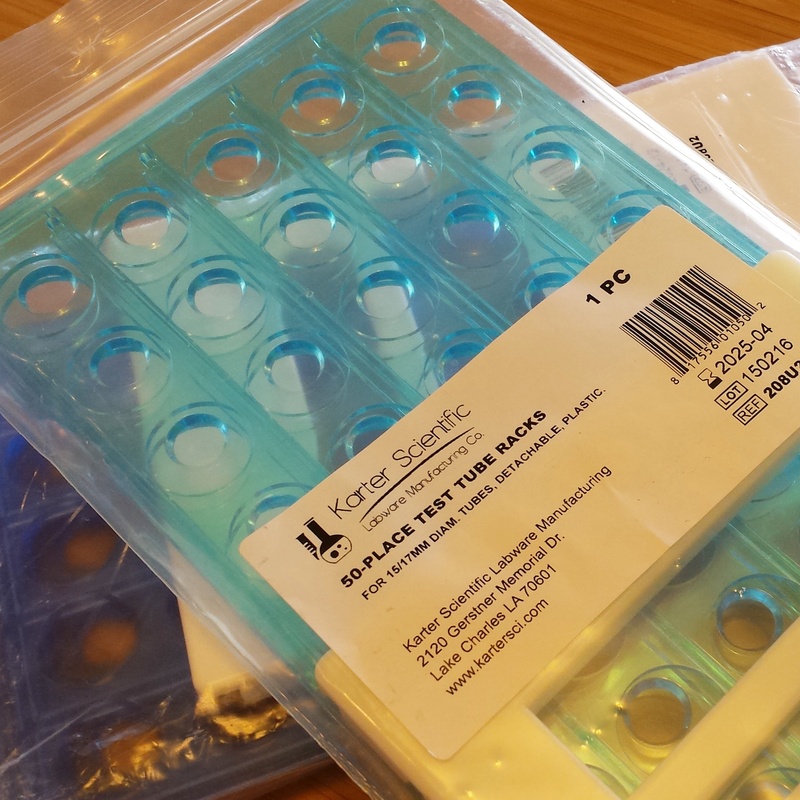 When I last posted about these awesome test tube racks I found on Amazon …. 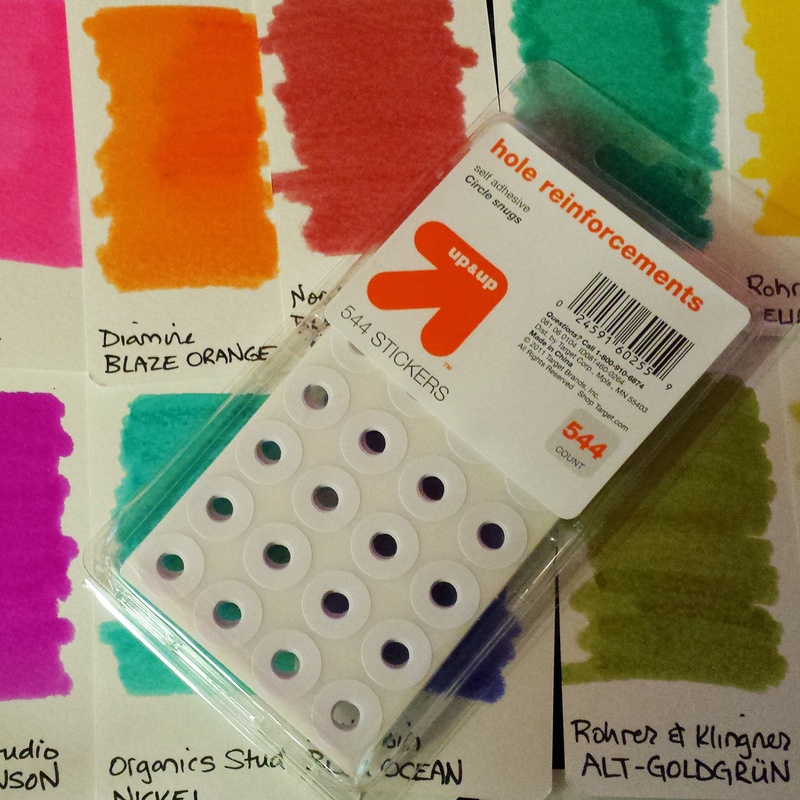 I used a Q-tip dipped in my ink to swab the stickers. 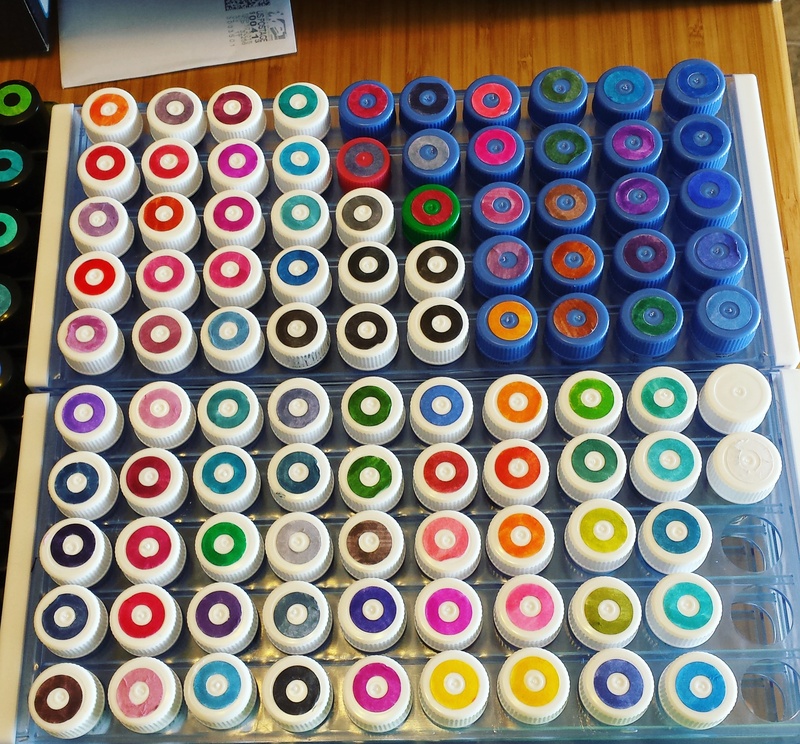 The only downside is that they get really fragile the more saturated they get – if I waited too long to affix them to my ink vials, they practically disintegrated on me. 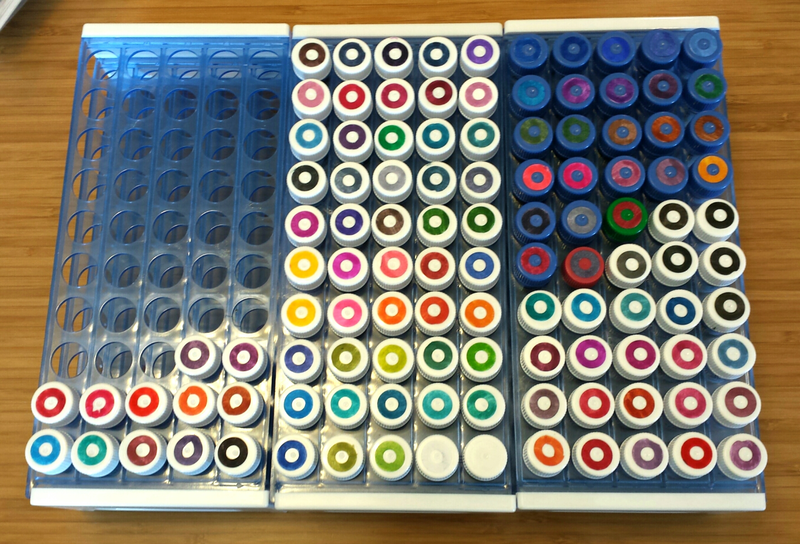 I had to do each vial one by one – swab, peel off, stick on vial. You can see in the pics where they got wonky or started to warp on me – they’re not all perfect circles. 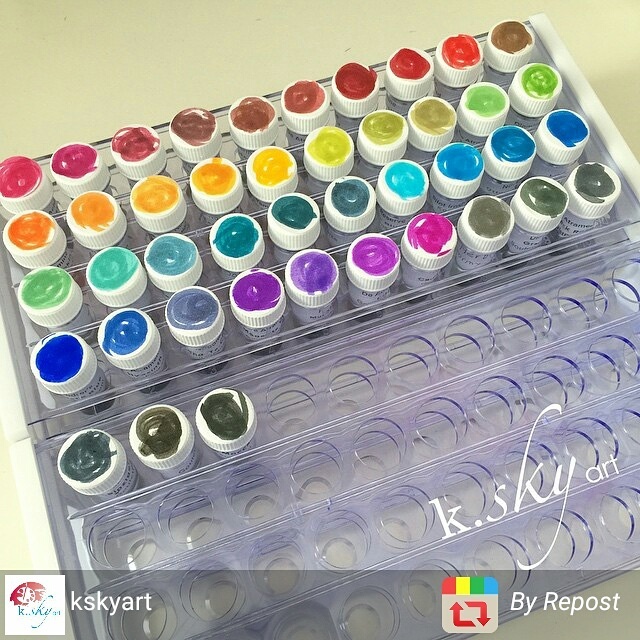 I love how the ink vials look now!! So clean and colorful. It almost feels like some variation on a Tetris game haha. 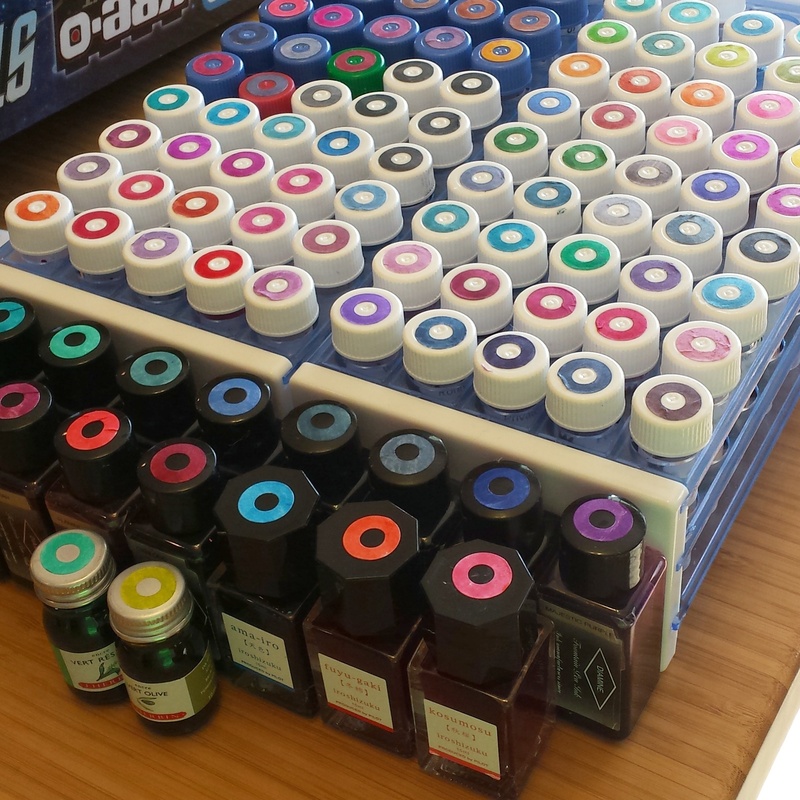 I liked how they looked so much I even put them on some of my cute little ink bottles too. 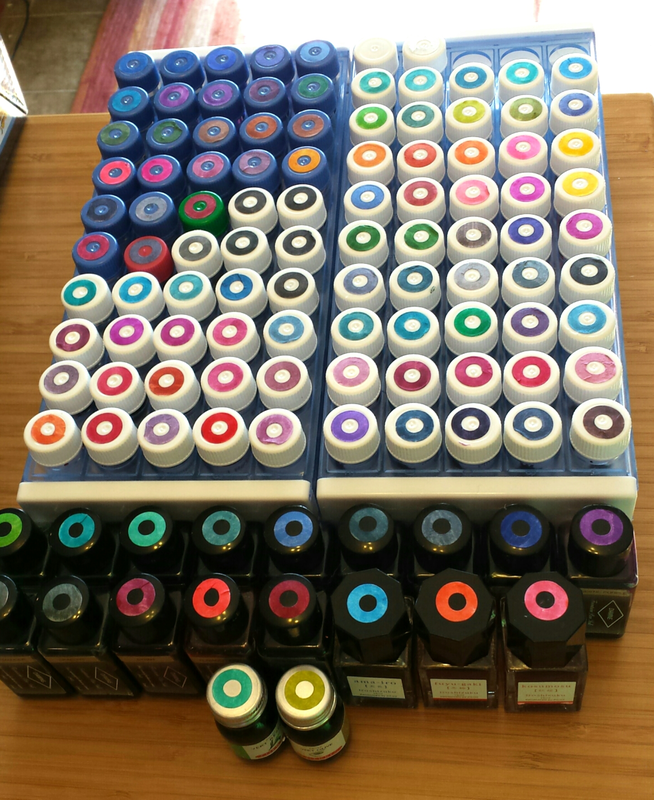 Now I can instantly see what color I might want to use! 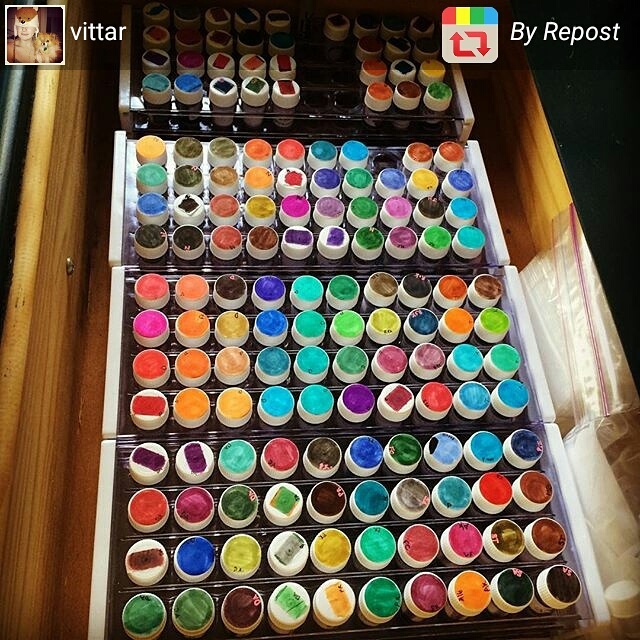 If you want other ideas on how to label your ink samples, check out these great pics on Instagram from @kskyart and @vittar. 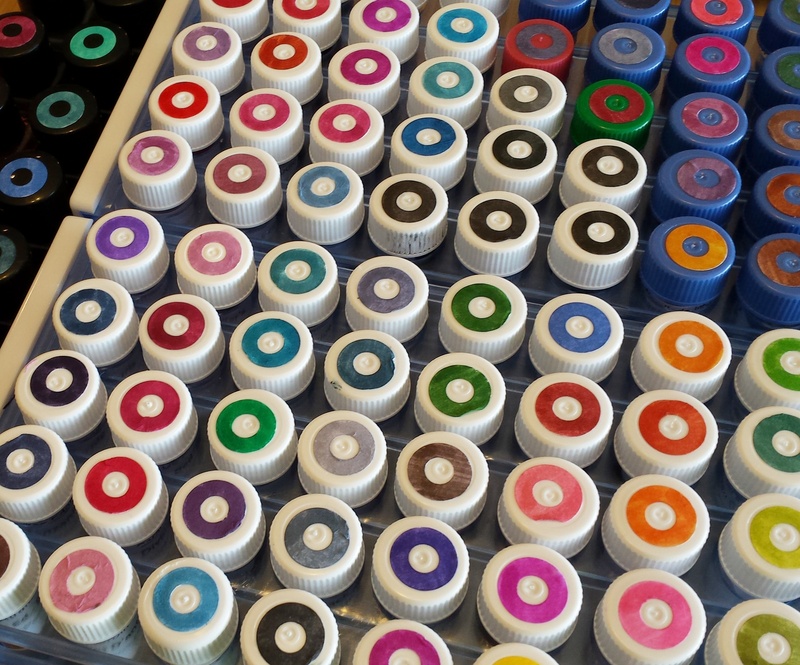 To find these labels, look for AVERY brand labels, type number “5408”, they’re 3/4″-round labels that fit the tops of sample vials perfectly. Love love love the way the little rings look. Defiantly taking inspiration from this.